Pants need water, but often watering systems irrigate not only the plants you want, but also weeds, sidewalks and driveways. Melnor's Micro Sprinkler Kit is the easy way to water exactly what you need and nothing more. 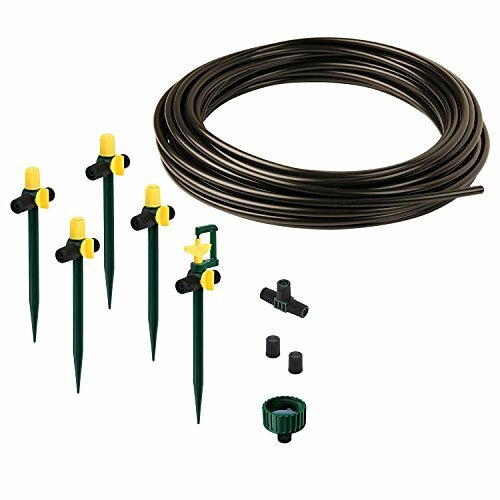 You can begin with the watering kit and add more tubing and watering heads as needed - or - design and build your expandable system from the ground up. It's easy to use, good for the environment and a great way to help homeowners grow delicious vegetable and beautiful flowers. View More In Underground Sprinkler Systems. If you have any questions about this product by Melnor, contact us by completing and submitting the form below. If you are looking for a specif part number, please include it with your message. By ORBIT IRRIGATION PRODUCTS, INC.